The Fraser has come up fast and hard over the last few weeks with the summer like weather and an above average snow pack in the mountains. Typically the river reaches its max flow in early June, however it seems to have crested over the weekend and is starting to come down somewhat. It will most likely continue to bounce up and down a little but for the most part we should see dropping conditions over the next few weeks. Most fish have moved into shallower water (under 30 feet) and the most consistent bait has been coarse fish and lamprey. Fish are very active in this high water as it is warming as well as rising and with all the extra scent in the water they can become quite aggressive. The trick is finding them… and then its “hang on” time as they have been jumping repeatedly and making blistering runs! Keep in mind many boat launches are closed at the moment due to the high water and one should confirm that your launching site is accessible before heading out. Of note, Island 22 boat launch is closed to the public at the moment, however guides are able to launch and their customers can park there by signing a waiver upon entry. Obviously there is allot of debris coming down currently and anyone angling from an anchored boat really needs to keep an eye up stream to ensure that you don’t get run over by a floating log. 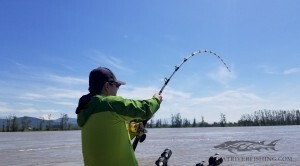 Also, fishing lines need to be cleaned more often, at least every 20 minutes to make sure that the bait is not covered up. 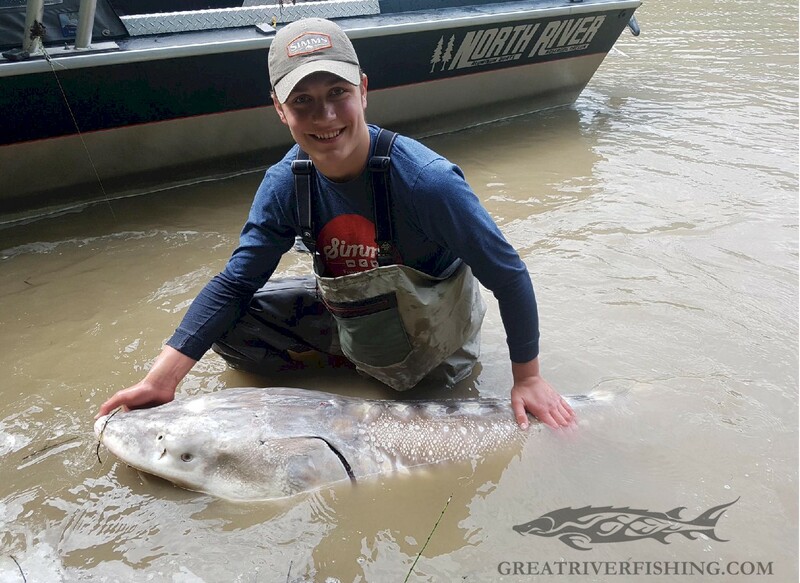 In most cases along the river it is very difficult to bring a large fish to shore since the water levels are most likely in the tree line. 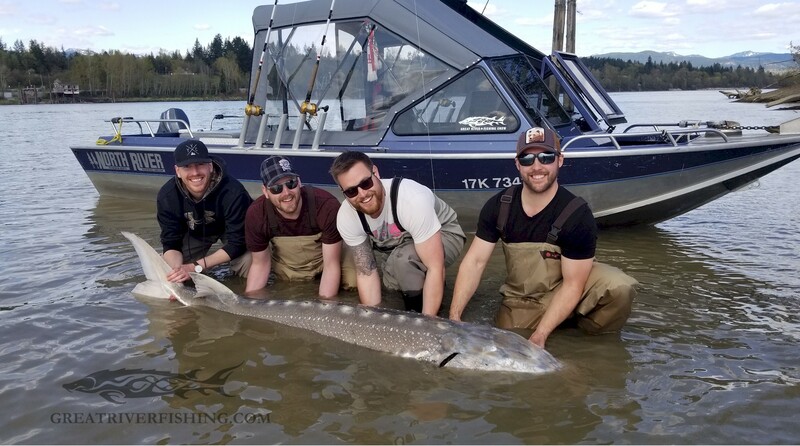 Fish over 5 feet in length should not be taken out of the water, if you cannot make it to shore it is mandatory that you release these fish next to the boat! What better way is there to spend a warm spring day than sitting in a cozy covered jet boat waiting on another bite from the almighty sturgeon. 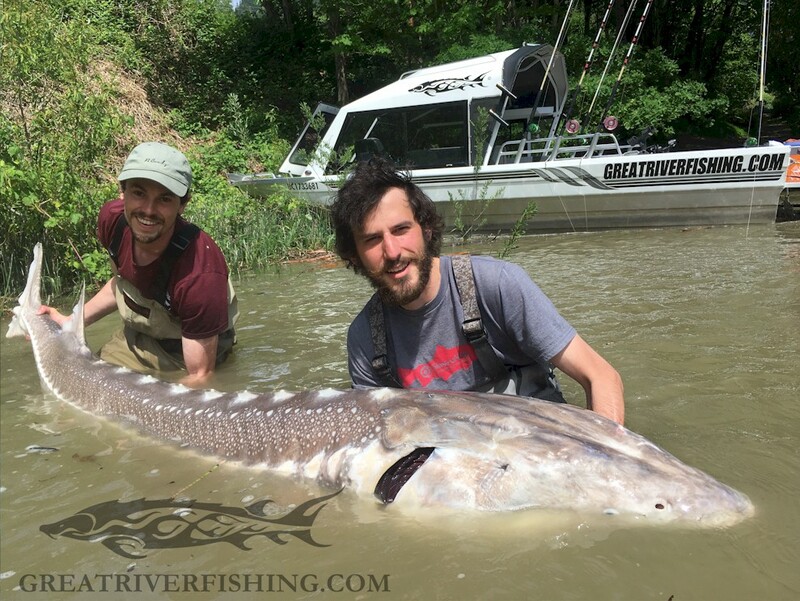 With limited fishing pressure on the river this is a great time of year to get out and experience these dinosaurs of the deep. 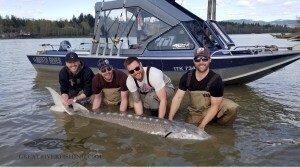 We offer half and full day outing’s via jet boat with nothing but the finest in guides and tackle. We pride ourselves in ensuring your day is as comfortable, safe and enjoyable as possible. Whatever your speed, we will cater to your needs. Call or email today. The Pitt is also experiencing an early freshet and this is great news as we will be able to start runnig the river early this year!! 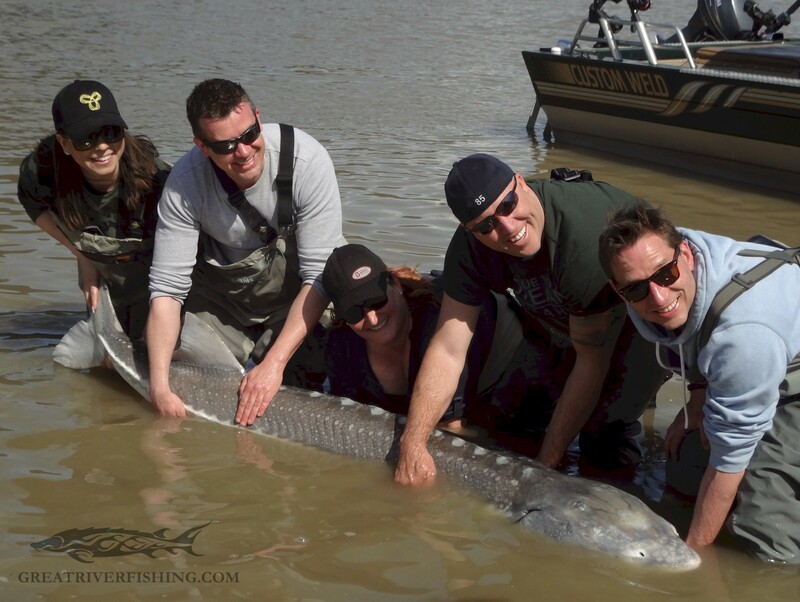 Starting next week we will be offereing trips up to this most coveted fishing destination. 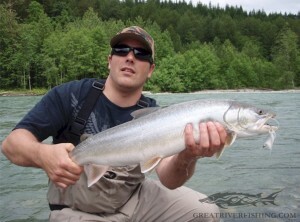 This special fishery continues through the summer but having said that typically the best Bull Trout fishing is during freshet. No explanation why, just know that the numbers do not lie. Bigger fish and numbers. 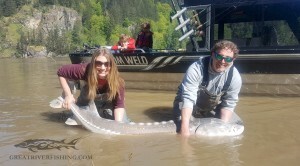 The Fraser River Sport Fishing Alliance invites all those concerned with the future of our precious Fraser River recreational fishery to attend a special meeting to participate in saving this Canadian Heritage for our future generations. 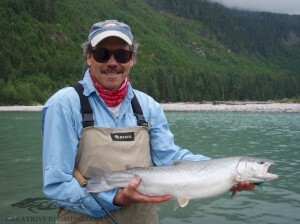 We cannot over emphasize that future fishing opportunities are at jeopardy.